Your feet are referred to as the 'foundation' for the rest of the body and are essential for movement and activity. They provide support for everything that we do, starting with standing, walking, and running. The feet also help in protecting the bones, spine, and soft tissue from extra stress when moving. The importance of having stable, well-balanced feet is key for body support and functioning. Properly balanced feet affect posture, and the body's overall performance and efficiency, which will contribute to optimal health along with chiropractic. Many people with foot problems actually have little to no pain in their feet. The pain that they experience will instead be distributed to other areas in the body, like the back, neck, hip, and knees. If one or both of your feet are not properly balanced it can result with improper posture and therefore unnecessary stress and strain in certain areas of your body. Your chiropractor will be able to tell you if you have postural imbalances and if your problems are coming from your feet. 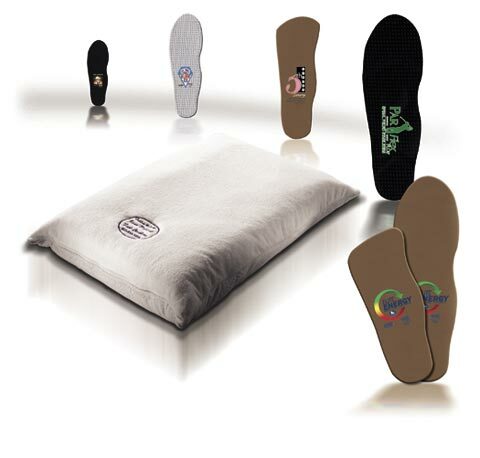 Foot Levelers can help balance your feet and stabilize your body. They are customized to fit your feet and shoe by taking exact measurements of the bottom of each foot by a digital scan that is available at Gallatin Valley Chiropractic of Bozeman. Your lifestyle is also taken into consideration when custom fitting your foot levelers along with age, weight, and your activity level. This is to ensure that the best is made specifically for you to support your daily lifestyle. Come into Gallatin Valley Chiropractic of Bozeman for your free digital foot scan so you can get your custom made foot stablilizer ordered today, and you will benefit from better posture, reduced pain, and overall better health. When our feet are properly supported, our body is properly supported.